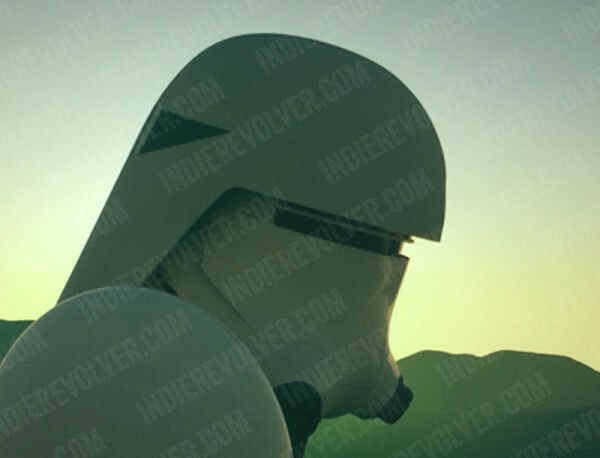 More Information Star Wars: Episode VII’s Stormtroopers & Incendiary Stormtroopers. With today’s Stormtrooper concept hitting, we’ve talked to three different sources about them. In other words, Indie Revolver was giving us the real deal, just not the total package yet. In other words, they hit a home run, just not a grand slam. You’ll likely see why soon. Not bad at all for Indie Revolver’s first Star Wars scoop. Another thing we’ve been told is that the Stormtrooper is used like always en masse, but the trooper with the “Vader style” helmet is used more in the elements, it seems. We’ve learned some more stuff we can’t share at this time, but hopefully soon. Sorry, I don’t mean to tease but its true. They are not exactly night and day in terms of the differences. The “Incendiary Trooper” title is new to us. Indie Revolver hearing they’re called “Jungle Troopers” isn’t exactly absurd. Some fighting takes place in the wooded area where the Tree House stage takes place. Some of the concept art for those sequences can be mistaken for a “jungle” and mentioned as such. This is also the same planet that has some snow and is based in Iceland. That said, the picture above looks like Abu Dhabi more than Iceland which would be snowy, but rocky at the same time, I think. 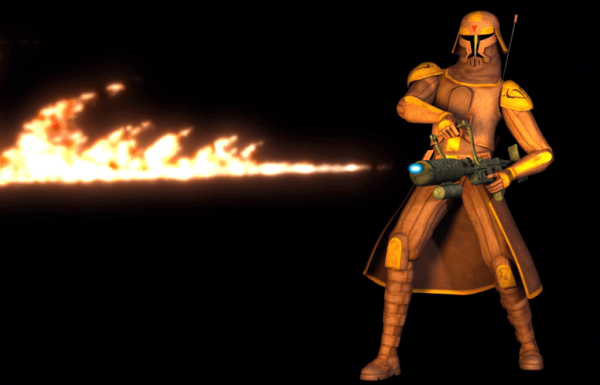 One last thing, we have seen the flame thrower trooper turn up on IMDB before. At the time I wrote the article, I was annoyed with having to update so many times with fake IMDB junk. Well, now it appears I might have been wrong about that stuff. They were at least right about one thing in that and it seems random to get right.